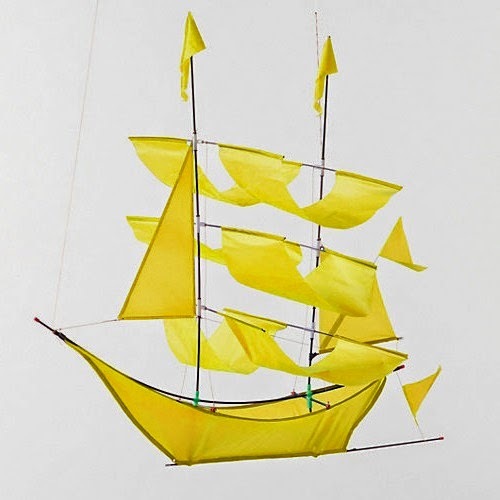 I love this sailing kite from Terrain. Can you imagine how fun it would be to see one of these on the beach?! It comes in blue too, but I am partial to yellow. I think it'd be a cute hostess gift if you were staying at a friend or family member's beach house. You can check out more styles and colors at Haptic Lab too. Anchors aweigh! This is seriously cute. Loving it!